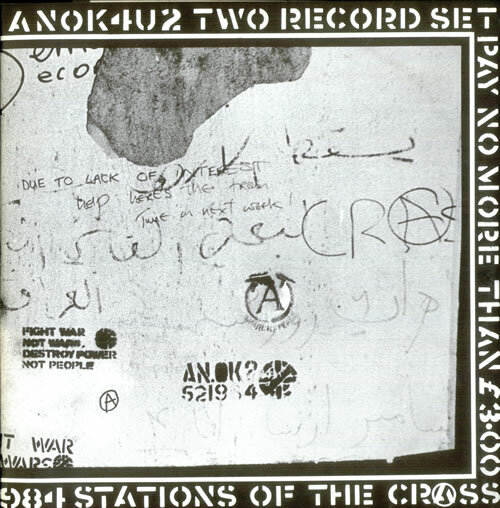 Crass’s second album was a double vinyl disc affair – three sides of studio recordings and a live side. The Crassical Collection re-issue doesn’t include the live side although the original CD did and is still available for mp3 download from Amazon as of 2012 if you’re a completest. You’ll probably only listen to the live stuff once but the main body of Stations is widely regarded as Crass’s most consistent album.